Did your friend forget his or her flip flops at your place. The U.S Postal Service has no problem returning them to them. 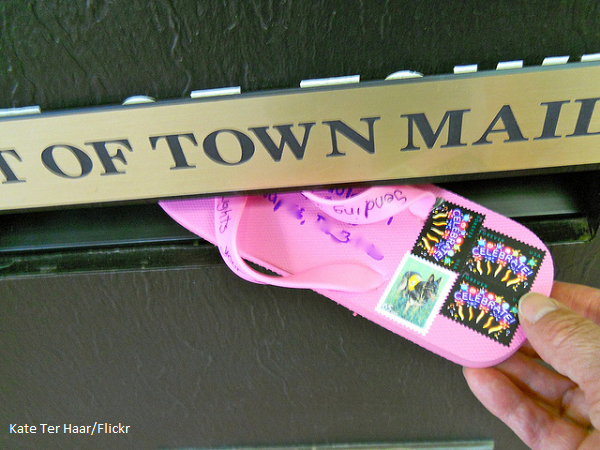 Just stick some stamps, write the recipient’s address and drop the flip flops in your nearest letterbox.